It’s been a little while since my last bar creation and with all this beautiful summer fruit at the farmers market, I knew it was high time we revisited the shrub cocktail! If you’re not familiar with shrub in its non-leafy version, it’s a fruit, sugar, vinegar concentrate that hails from the Colonial days. Shrub is a revitalizing, sweet and tangy beverage served over ice with your choice of sparkling water, prosecco, or liquor. I’ve been whipping up cocktails basically every week this summer. Until this cherry lemonade cooler, the highlights have been this one and this one. Summer cocktails are simply the best. Don’t get me wrong, fall cocktails will have their time to shine (because the fun can’t just stop in September), but the fresh sweet and tart flavors that you can get from all that gorgeous summer fruit is irreplaceable. 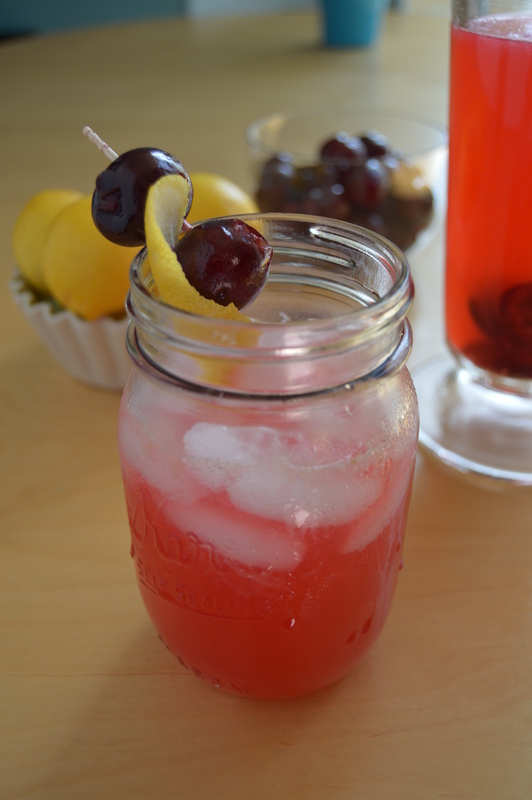 This cherry lemonade cooler transports you to a beautiful place. That place (either mentally or physically) should be under a palm tree next to the pool, or barefoot in a garden at twilight. The bold cherry flavor shines thrice in this cocktail – in the simple syrup, muddled into your glass, and as a snack/garnish… You know how I love it when my drinks come with SNACKS. I like my cocktails on the tart side, so I went heavy-handed on the …keep reading!